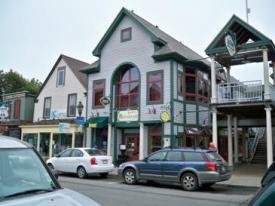 Home to a wide variety of specialty stores, antique shops, boutiques, outfitters, craft stores, and other retail shops and outlets, the DownEast & Acadia region of Maine is a world-renowned shopper’s haven. This national pastime is a significant part of the regional experience, so be sure to stroll at your leisure, breathe in the fresh ocean air, mingle with the summer crowds, or just shop until you drop! Far from mall country, the area offers a unique cultural shopping adventure. Recognized for its hand crafting of baskets, boats, quilts, wreaths, woodworks, and more, The Maine Craft Association is a great resource for craft enthusiasts visiting DownEast Maine. With arts and crafts galleries on just about every corner, there’s no excuse not to find that special something to commemorate your trip DownEast. Look for one-of-a-kind scrimshaw jewelry, knives and collectible display pieces; hand hooked original design rugs; fine American and European art; stained glass, fused glass and recycled glass items; and so much more. Or step back in time with a visit to one of several “restored” general stores in towns like Cherryfield and Winter Harbor. These are the places to find delicious local foods and farm products, whimsical gifts and epicurean delights from around the globe and around the block. 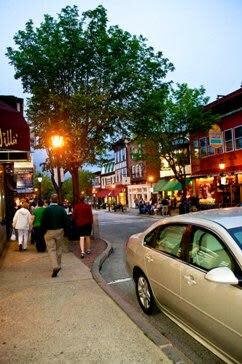 Upscale boutiques are also a mainstay in the many seaside towns including Northeast Harbor and Bar Harbor. Look for locally and regionally designed clothing boutiques, bath and body stores, silk and tapestry retailers, and other chic outlets. The region also boasts some of the best antiquing in the state. Big Chicken Barn Books & Antiques in Ellsworth is a popular destination for antiques hunting. With over 21,600 square feet of floor space, you’ll find everything from period furniture to rare books just begging to go home with you! The 40+ more in the area are also brimming with nautical antiques, nautical reproductions, and a wide variety of nautical gifts. To learn more about antiquing in the DownEast & Acadia region, visit the Maine Antique Dealers Association for an online directory area antique stores and the merchandise they carry. 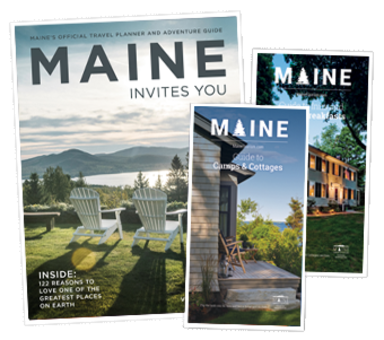 Start planning your shopping adventure in Maine’s DownEast & Acadia today!